Amazon plans to launch a constellation of 3,236 satellites into low Earth orbit in order to provide internet to “unserved and underserved communities around the world.” The so-called Project Kuiper initiative first came to light after GeekWire spotted that Kuiper Systems LLC recently made three sets of filings with the ITU, the international organisation in charge of coordinating satellite orbits. Amazon confirmed that Kuiper Systems is one of its projects. Amazon is the latest in a string of companies with plans to use a network of thousands of satellites to offer broadband around the world. Unlike traditional satellite internet, these plans involve the use of satellites in low Earth orbit, which can be operated cheaply and with lower latencies. SpaceX has plans to launch as many as 12,000 satellites as part of its Starlink constellation, OneWeb wants to launch 650 satellites, and Facebook is also developing an internet satellite of its own. Project Kuiper will consist of satellites at three different altitudes: there will be 784 satellites at 367 miles, 1,296 satellites at 379 miles, and 1,156 satellites at 391 miles. These satellites will offer internet in areas ranging from 56 degrees north (roughly in line with the middle of Scotland) down to 56 degrees south (which is below the southernmost tip of South America). This area, theoretically, covers over 95 percent of Earth’s population. The project will also require a network of Earth stations for the satellites to communicate with. Last year, Amazon launched AWS Ground Station, a cloud computing service that will enable space-to-ground communications. 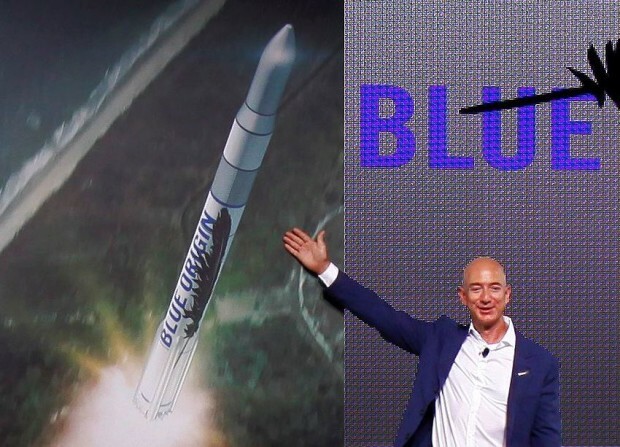 There’s no time frame for when Amazon’s satellites might be sent into orbit, but it will need to receive the Federal Communications Commission’s approval before it can do so. The FCC will consider issues such as orbital congestion as well as Amazon’s plans for decommissioning its satellites at the end of its operation. Orbital debris has become an increasingly large concern; last year, NASA recommended that 99 out of every 100 satellites from these mega constellations will need to be deorbited once their missions are over to prevent the space around the Earth from filling up with dangerous junk. Even if your business is just a dream at the moment you may realise it is a lot closer to reality than you think! Guaranteed there will be no nasty surprises round the corner, and you won’t be contracted with ridiculous buyout clauses. Or a combination of services with a structured plan and timescale with measurable statistics sent to the client on a monthly basis (or more frequently if required). Call EQUAL WEB DESIGN AND PRINT today we could be your key to a whole new online marketplace! Management of your company data. All the services we provide are bespoke so without details it is difficult to put a hard and fast pricelist online however we pride ourselveds in being one of the best value for money in the UK. Equal Design and Print Preston are based in Leyland, we have however worked with clients from USA (Currently) Portugal, and Canada, Australia. No matter how Niche’ you think the product or service you sell or provide is! In fact that would work in your advantage online, as you have a worldwide audience to capture. All Equal Design and Print NEW client websites come fully responsive as standard!